WE MADE IT! Well...at least through the perils of late winter starvation and spring mites. Your hive(s) have come up to speed during the spring currant/bitterbrush/fruit tree flows. You’ve done the initial mite counts (as Naomi was kind enough to discuss with us at the May COBKA meeting…see HBHC Tools for Varroa Management for more info on everything she shared) and appropriate mitigation. You’ve added the new space (hive body or super) to keep them from feeling like they need to swarm. Now, you need to keep it up. Those hives that had mite counts near your limit last time (3% for me) you should recount and mitigate as you feel necessary. Please remember to follow the printed directions on any treatment exactly. In the more native parts of the area, I find there’s a dearth during the last part of May through middle of June (when the Sulphur buckwheat, sagebrush and filaree start to bloom) so either you can do a bit of feeding, or accept some stagnation in hive progress. In town, I find this dearth isn’t nearly so profound, but instead there is a BIG flow back in April with the fruit trees, then the rest of the spring/summer is pretty stable with the various domestic flowers/gardens/weeds. 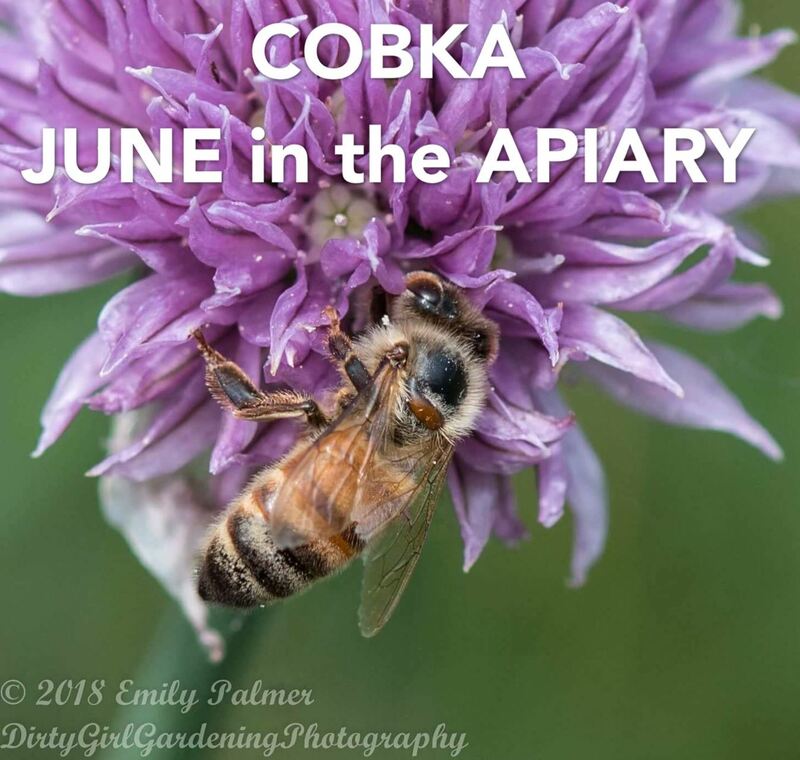 If your apiary is in town or you have a bunch of wonderful weeds, you do need to continue watching for the swarming (If that’s of importance to you). Most important is to keep ahead of the addition of hive space. As I said previously, for me that’s between 70% and 80% full, I add a second box, or if necessary split the hive (really only in the first week or two of June, as any later, the split may not have time to recover before Fall). And…..if you happen to catch a swarm……….rejoice! If you haven’t already, now is a good time to re-evaluate your queens. Is the brood pattern good? Are there too many, or all drones? Is the personality of the hive what you want? During this month, queens are easily available both locally and from a distance, so requeening is easier. Your best bet with requeening is during a honey flow. Bottom line, during the month of June, I generally will check the hives once a week. Every other week, I’ll do a quick peak under the cover to ensure I see some sort of brood, and crack open between the boxes for a quick look for swarm cells, then on the opposite weeks, do a fuller inspection to evaluate health, vigor and mites. 2018 COBKA Photo Contest Information! Thanks to Allen Engle for writing this month’s notes!